Comments: BRAND NEW COPY, Perfect Shape, Small Publishers remainder mark on edge, OS-1007Fast Shipping With Online Tracking, International Orders shipped Global Priority Air Mail, All orders handled with care and shipped promptly in secure packaging, we ship Mon-Sat and send shipment confirmation emails. Our customer service is friendly, we answer emails fast, accept returns and work hard to deliver 100% Customer Satisfaction! 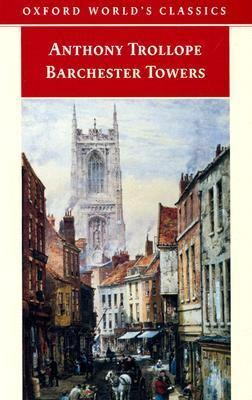 Trollope, Anthony is the author of 'Barchester Towers' with ISBN 9780192834324 and ISBN 0192834320.